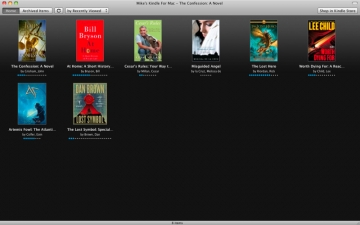 [無料] Kindle | Mac App Storeのアプリ検索・ランキング BuzzMac! 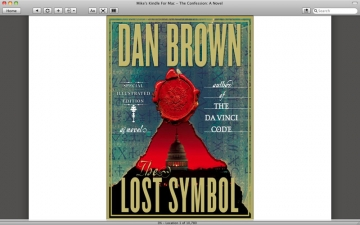 The Kindle app gives users the ability to read Kindle books on a beautiful, easy-to-use interface. You’ll have access to over 775,000* books in the Kindle Store, including best sellers and new releases. 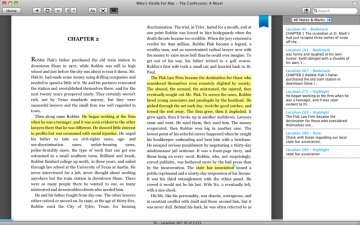 Amazon Whispersync automatically syncs your last page read, bookmarks, notes, and highlights across devices (including Kindle), so you can pick up where you left off on another device. • Shop the Kindle Store for over 775,000* Kindle books, including New Releases and 107 of 111 New York Times Best Sellers. Over 610,000* of these books are $9.99 or less, including 79 New York Times Best Sellers. 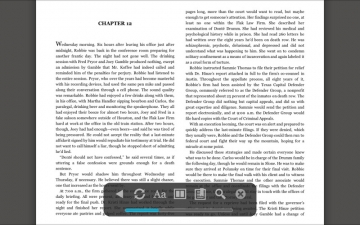 • Customize your reading experience by choosing the background color and font size. • Search inside the book to find a character, topic, or section you want to revisit. • Simply click on either side of the screen or press the arrow keys to turn pages. • You can also read your Kindle books on your Kindle, Kindle 3G, Kindle DX, iPhone, iPad, PC, Android phone, BlackBerry, and Windows Phone 7-based device. Our Whispersync technology syncs your last page read, notes, bookmarks, and highlights across devices, so you can pick up where you left off. * Selection and price of books in the Kindle Store may vary by country.